The 2 next weeks I am the host of the challenge. This time we want you to make a vintage card. Take a look here to see the other DT cards. I have used a BnW stamp for my card. I have coloured the image with distress ink, reinkers. 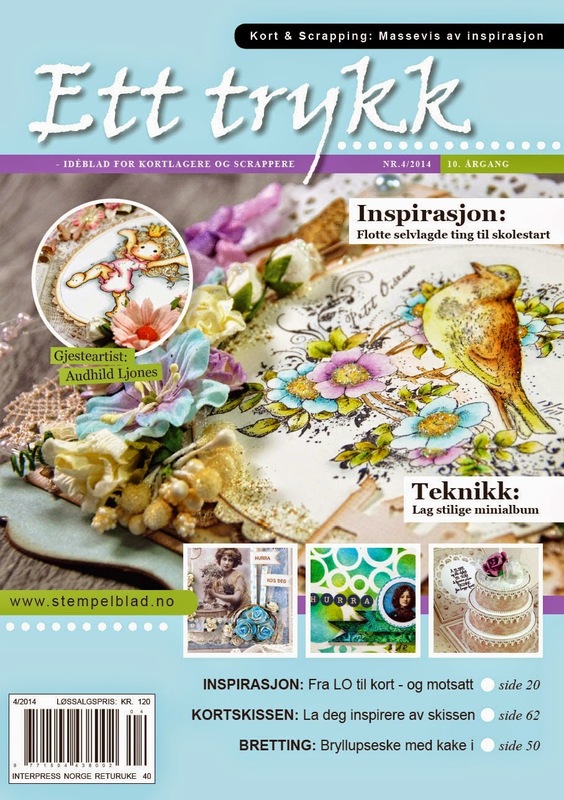 The pattern papers comes from Maja Design. Tag from Magnolia. I have decorated my card with flowers. 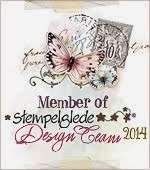 They are made with a qk dies, then inked and decorated with stickles, star dust. Lagt inn av Audhild kl. 7:42:00 p.m.
Kjempeflott kort, den vintage stilen er jo bare så nydelig, syns du har fått det til så flott her! Oi oi - dette var kjempenydelig altså, så fine farger og de blomster dies'ene var kjempefine!! WOW, WOW, WOW....THIS IS FABULOUS, ABSOLUTELY GORGEOUS!!!!! Beautiful coloring of this sweet image....magnificent details....absolute perfection!!! Et nydelig kort!! Kjempe flott pyntet!! Gorgeous card Audhild! I love the soft colors and your details are always beautiful!!! Sweet image to match!